BERLIN – Talks on Daimler AG's sale of a 7.5 percent stake in Airbus parent EADS to German state-controlled development bank KfW are going according to plan, a German government source told Reuters. The source said on Friday that the earliest date for the sale would be July 1, and the details had not yet been finalized. Daimler's remaining 7.5 percent stake in EADS was not part of the discussions, the source added. The German government agreed to buy a 7.5 percent stake in European Aeronautic Defense and Space Co. after failing to find a private investor, ensuring its sway over Europe's largest defense company remains on par with France. KfW Group will acquire the shares, valued at 1.2 billion euros ($1.6 billion) from Daimler and hold them until a long-term solution is reached, the Economy Ministry said in November. Daimler, the maker of Mercedes-Benz vehicles, will halve its direct holding in EADS to 7.5 percent from 15 percent with the deal. Daimler and EADS had been pressuring the government for months to find a buyer for at least part of its holding as Daimler plows cash into vehicle development. Chancellor Angela Merkel's government delayed a decision on what to do with the EADS stake, spending months seeking a possible investor in German industry or even in Qatar. Supporters and opponents of state involvement eventually agreed that Germany's top interest was to keep its control equal to that of France under the agreement that created the company. EADS, based in Paris and Munich, saw its stock has jump 21 percent last year, valuing the company at 17.3 billion euros. 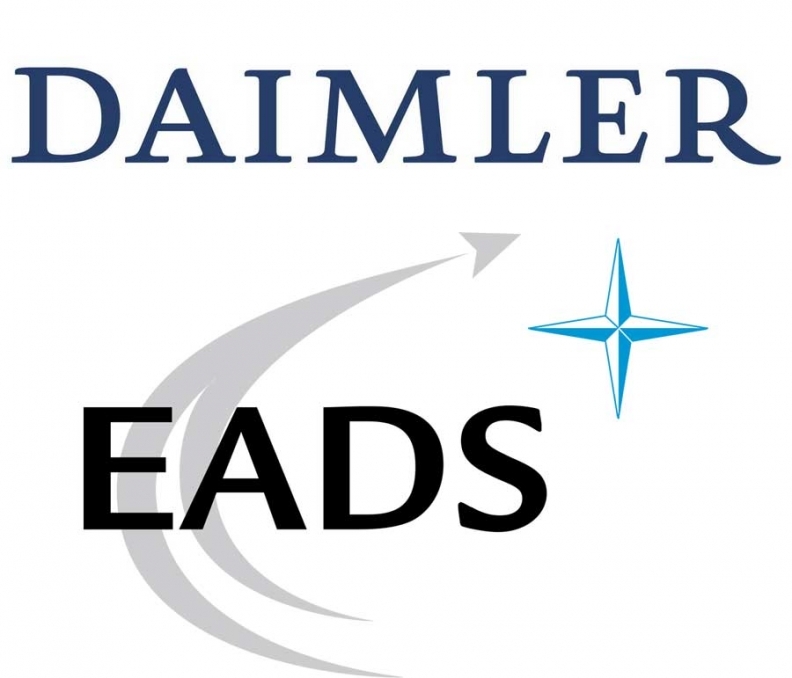 Daimler was a founder of EADS by contributing its Dasa aerospace unit to the planemaking and defense company's formation in 2000.